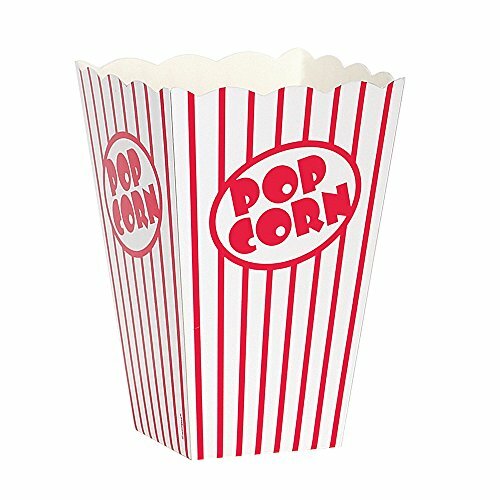 Treat guests to party snacks in these throwback Popcorn Boxes. These treat boxes feature the classic red and white striped design with “Popcorn” text and a scalloped top edge. Fill each box with buttery goodness for a movie night, carnival theme party, or for watching fireworks at a 4th of July party.